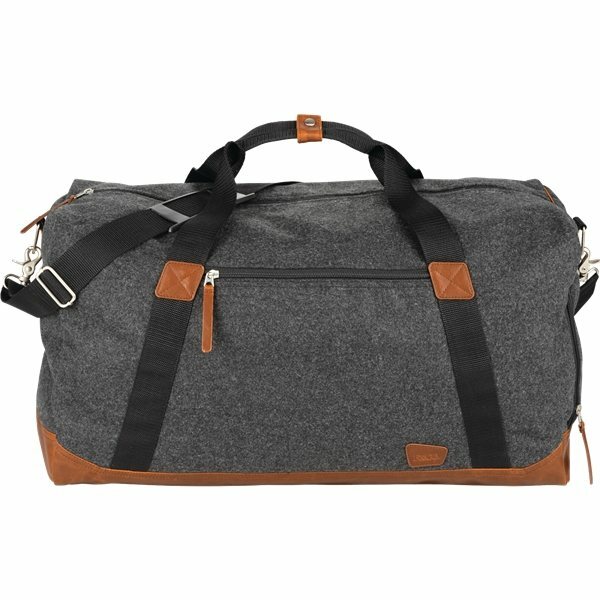 This duffel combines the stylization of a wool/poly material and vinyl accents with the function of a weekender-sized duffel for travel. Includes removable padded shoulder strap, top grab handles, vented side shoe pocket, interior organization and rear trolley sleeve. Everyone loved them. I am going to order again for our event next season. Colors were vibrant and also the graphics turned out great! the printing also looks good and the product shipped well, no scratches!